Flaunt your feminine side! 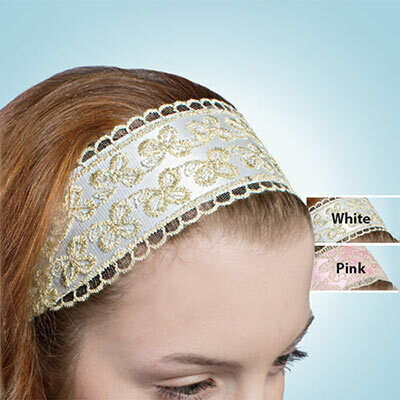 Elegant for any occasion, our Ribbon and Lace Headband has delicate cream and gold lurex lace on top of shimmering polyester. Elastic band; one size fits most. Imported. 2½"w.